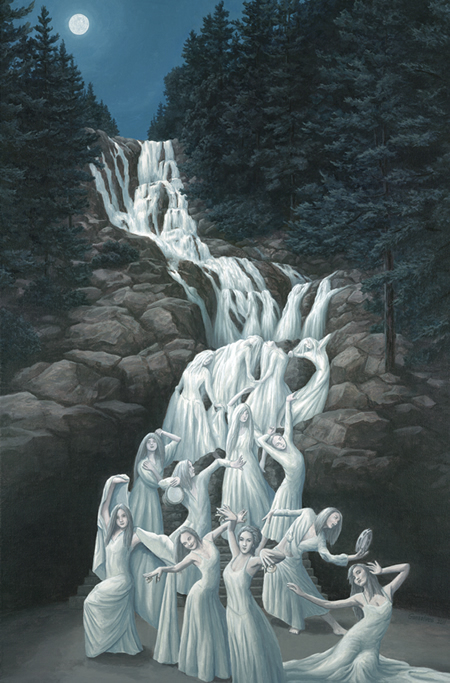 It’s a river… no… it’s a dozen water dancers dressed in white! 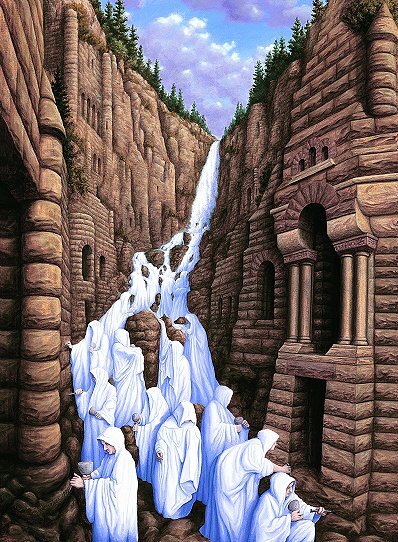 These are the types of exclamations your brain will be shouting out to itself while you examine the work of fine artist Rob Gonsalves. 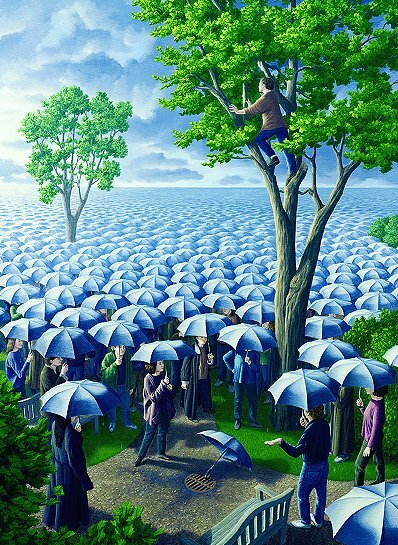 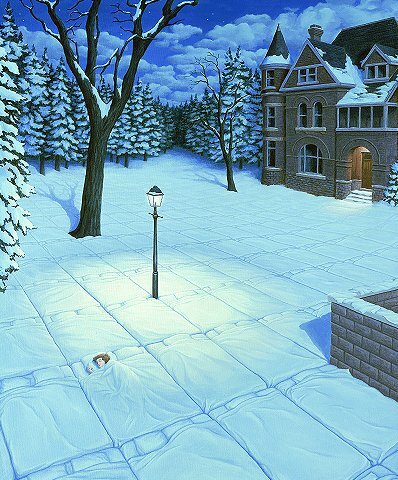 A master of illusion, Gonsalves’ paintings often blur the line between the dream world and reality, creating scenery with multiple layers (both in meaning and aesthetically). 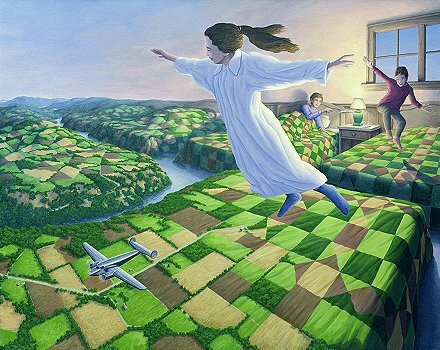 With more than 70 of these dreamscape paintings available online, Gonsalves’ work sincerely allows for a new perspective, turning the at-times bland world around us into something much more magical. 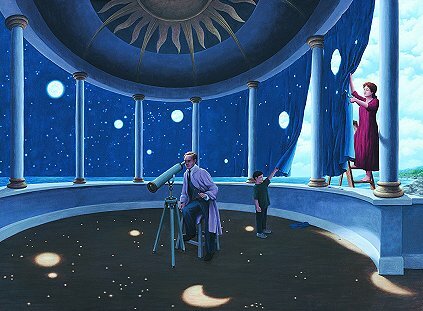 Simply put, he’s an enchanter—a painter who can turn a field of cherry blossoms into a ski path…now that’s just marvelous.